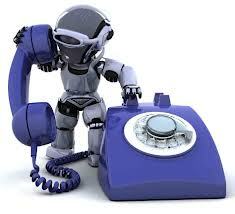 How much do you hate those anonymous robocalls? Even caller ID doesn't always help, because you don't know if you are getting a legitimate call just by looking at the number. Helps you find out who is calling and why: Debt collectors, telemarketers, charities, and survey companies often call without leaving a message. Look up the number to read the reports of other users. Allows you to report telemarketing calls: Make the Do Not Call list offenders notice the problem by reporting their practices. No business wants bad publicity. Makes it easy to report phone fraud: Did someone try to scam you? Reporting the number is the fastest way to make public aware, and prevent others from falling victim to the scam. Enables you to check out a business: Read other users' feedback about the phone number owner. In a February editorial, "The Trouble With Online College," the New York Times moved to discredit online higher education. 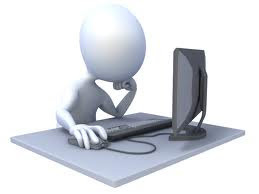 This prompted a flurry of letters to the editor, arguing the pros and cons of online education. Not one of the letter writers pointed out this very simple fact: We may not have a choice. 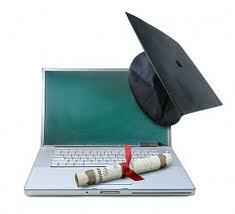 It may soon be the way many, and ultimately most students get a higher education. Anyone who currently has a child in college, or faces the prospect of sending one to university, knows that the value proposition for higher education is becoming unsustainable. It now costs in excess of $50,000 or more per year to attend a private institution, and a not too shabby $20,000 a year to go to a public school. Walk around any private college and ask any student. They will confirm that already, the student population is comprised of the very affluent who can pay the ticket, the very poor who qualify for need based grants, and the gifted who qualify for merit or athletic scholarships. The middle class - not there. Soon, public institutions will also become unaffordable. And as for graduate school, the issues are the same. As an example, many experts believe that unless you are accepted into a top tier institution, don't bother getting a law degree. Already, demographic studies show that the majority of millenials move back home after college, often for a prolonged span of time. The immense debt they carry precludes living on their own, even with roommates. So, how are the growing hordes of middle class students who don't have the money or the talent to pay for school, going to get an education? And we need not necessarily feel sorry for them. Given the choice, most would opt to watch famed Harvard Professor Michael Sandel deliver his thrilling course on "Justice," rather than listen to a bored junior professor listlessly drone on in a conventional classroom. Peter Norvig, a prominent professor at Stanford University, teaches a famous online course, available to anyone, on "Artificial Intelligence." Peter didn't just make a video of the course he was used to giving in class. Instead, he completely reinvented it, breaking it down into 2-6 minute segments, followed by a question that allowed participants to check if they actually understood the concept that had just been taught. The student of the future may have the option to get educated by the best of the best. Sure they will miss out on the college experience we were fortunate to receive, but all is not ivy and camaraderie. There is also hazing, bullying, and drunken parties. It may not be a bad thing to miss out on that. And it may be inevitable. I live and work immersed in technology. I have a smartphone, a laptop, and a tablet. I am on the Internet about 8 hours a day, 5 days a week. I love cutting edge stuff and am an early adopter. I like the newest and the latest. So it might surprise you that I still use a pen and a notebook throughout the day. But not just any notebook. Not just any pen. For the past 10 years, I have written my notes in a Moleskine Squared Red Notebook - size large. I love the acid free paper, the red bookmark, the elastic closure (great for travel) and the expandable inner pocket (which I never use, but it is oddly comforting that it's there.) Moleskine notebooks have existed for centuries, and were used by the like of van Gogh, Picasso, and Ernest Hemingway, to name a few. Currently, my go to writing instrument is a Parker 5th Generation Technology pen. My family has a long and auspicious history with Parker. My great uncle was the French rep for the American company. His job enabled him, my grandmother and my mother to escape Nazi occupied France during World War II. His Parker connections were able to get him a visa so they could enter the US. This same great uncle gifted me with my first fountain pen when I was seven years old. I remember the pen's color (teal) and the fact that it made me feel super grownup. Anyway, sometime in 2011, the 5th generation technology pens were introduced. So named because it follows 4 previous generations of writing technologies - the fountain pen (1884), the ballpoint pen (1888), the felt tip pen (1962), the roller ball (1980s). The pen sort of looks like a fountain pen - but it isn't. It's an entirely new kind of writing experience. Sure, nothing beats sitting at a desk and writing with a double broad gold tipped Duofold on a sheet of beautiful paper. But here's the rub - most of my life is spent writing in airplanes, at conferences, and on the go - where writing with a real fountain pen is at best messy, at worst impossible. (I will also add that I am left handed.) And this Parker pen - well it doesn't leak, it doesn't bleed, it doesn't clog. It's completely dependable and provides a pleasant and smooth writing experience, much more pleasant than your average roller ball/ball point/gel pen. In addition, refills come in fine and medium and in a variety of colors, including burgundy, olive green, peacock blue and purple. The pen comes in many flavors, ranging in price from $80 - $160. All write with the same point, if you buy a more expensive version - you are paying for cosmetics. Bonus: It is very easy and quick to swap out refills - none of thee many reviews I have read mention that you can change from black, to green, to burgundy ink in a matter of seconds. Web Secret #252: Is it down right now? You've decided to go on Twitter and tweet about the amazing iWebU blogpost you just read. You click on the link or enter the url for Twitter, and nothing happens. It's not loading. It's taking forever to load. And if you're like me, someone with the patience of a toddler, you go nuts almost immediately. And paranoid. Is my 5 year old computer finally biting the dust? Did those Chinese Army hackers finally infect my laptop with nefarious malware? Wait - maybe this has nothing to do with me. Maybe it's Twitter's fault? In this type of situation, unless you are staring at the blue screen of death, the first action to take is visiting "Is it down right now?." In addition to posting a summary of the health of various key websites, (think Pinterest, Chase and Netflix,) iidrn let's you enter the web address of the offending website and get quasi instant comforting feedback, like "It's not you, Twitter is down." Less reassuringly, you might get this message, "The website is probably down just for you." In addition, you are told when that website was last down, eg "More than a week ago." If you get that message, it's time to call Apple Cares or contact your ISP. But most of the time, it is them, not you and if you just wait a while, it ends up working just fine.